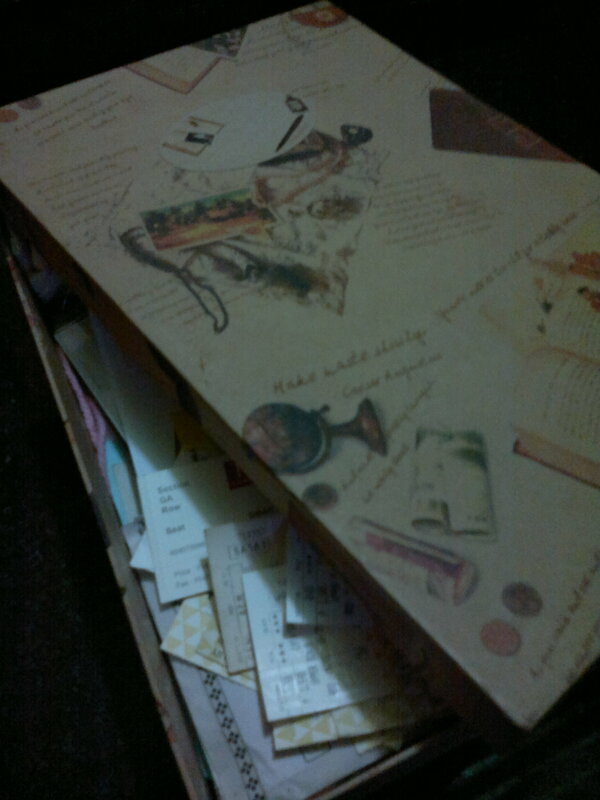 I love… my box of memories. I am a sentimental person and I love having keepsakes and small things that will help me remember events and people by. Growing up, we didn’t have digital cameras, cellphones, internet, Facebook, Twitter, and Instagram. Unlike today, we were not able to document every single thing that is happening in our life or even the most mundane thing like our lunch, new hair cut, new toned gym body, or our Starbucks coffee. If we want to “document” an event, say a graduation, we don’t have people raising their camera phones/digital cameras to capture the moment and see those photos on Instagram or Twitter at an instant. Capturing a moment needed a trusty old school camera and a roll of film with limited shots that ranged from 12, 24, and 36 shots. Back then, we didn’t have Facebook to express ourselves, connect to people, or even poke our friends. DMs or Direct Messages were literally direct. As in face to face. 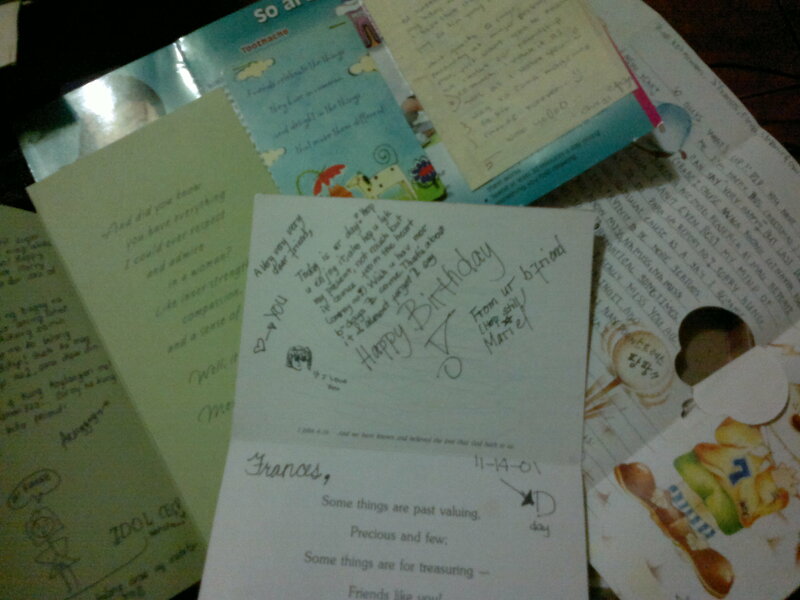 I remember birthdays meant greeting cards or hand written letters on stationery paper or pages from a notebook and not wall posts or PMs. Messages were not texted or emailed but written on notes which I think are more personal. 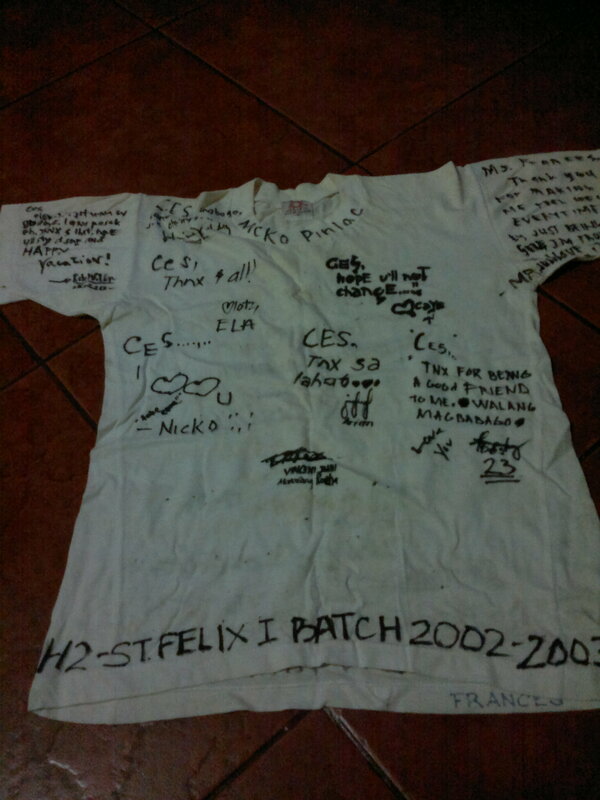 Fortunately, being the sentimental person that I am, I was able to keep a lot of stuff to help me reminisce the good old days. 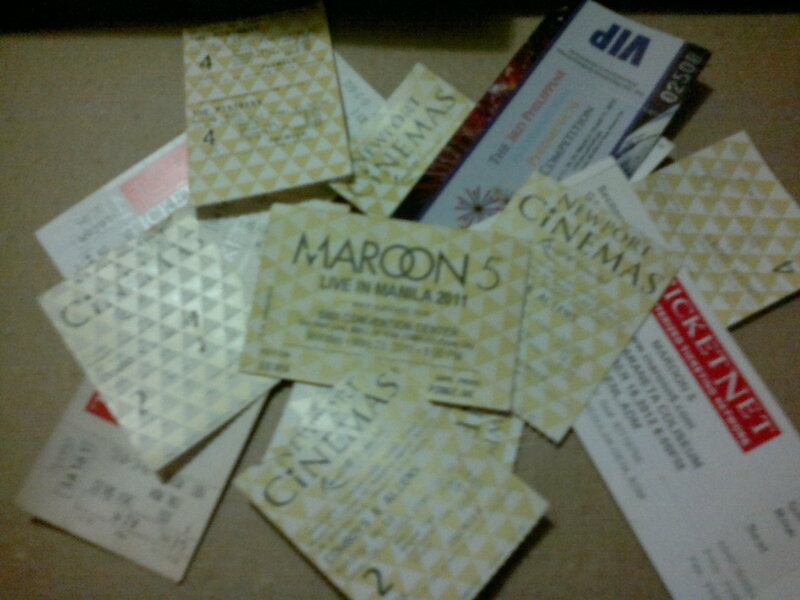 I keep mostly, movie/concert tickets, invitations (birthdays, weddings, baptisms), old notebooks/journals full of angst-y teenage stuff, photos, school stuff, and a TON of letters from grade school, especially high school, and a few from college. 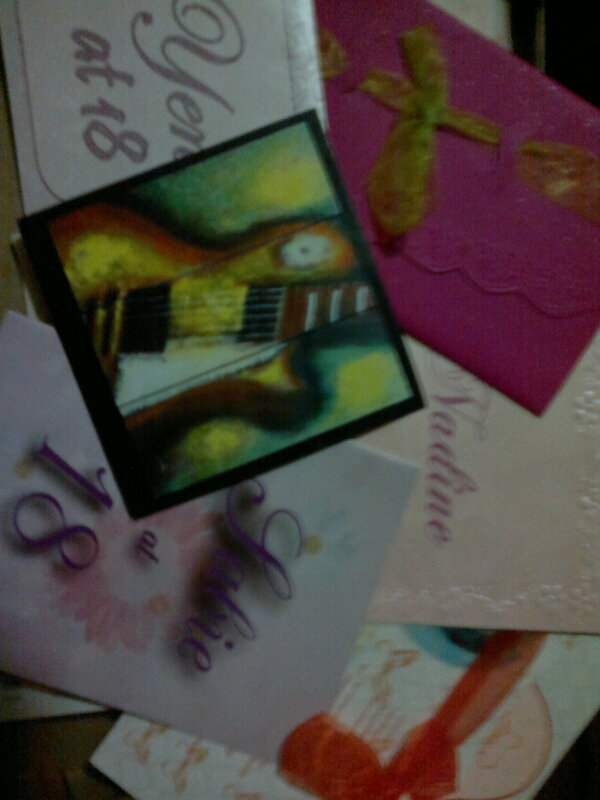 I just realized that my friends loved writing me letters. Aside from the special occasion letters and recollection letters (which were required in our school), I found random heart warming ones and some written on sheets of pad paper or pages from our graphing notebook in high school. Some even starts out with “I’m just writing to say hi and to tell you that I’m lucky to have you as a friend.” When I feel sad, alone, or even forgotten (yeah, I’m emo like that), I take out my box of memories and read my letters. It’s an instant get-happy activity, I must admit. I love keeping these little things. 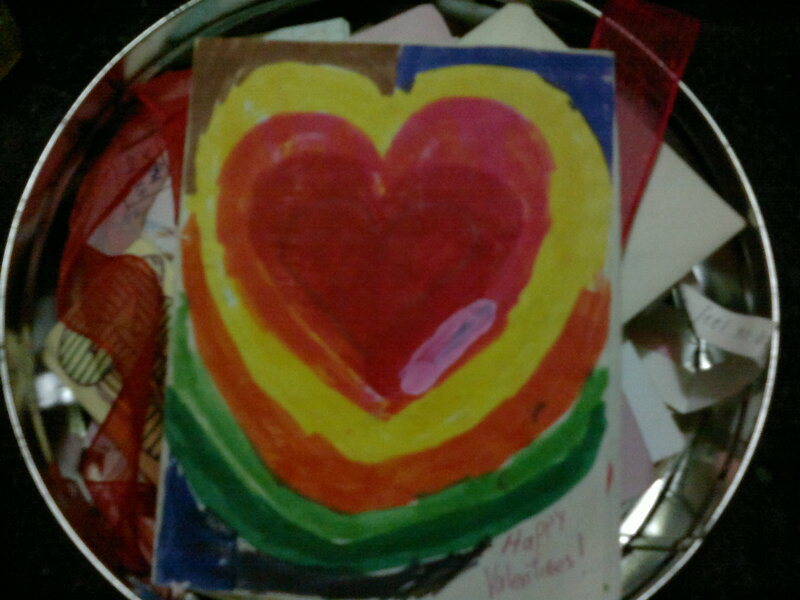 This box reminds me that I am special and loved. It contains kind words from people who have become a part of my life one way or another. Small objects that captured moments that defined the person that I am today.